I think Mom’s should be appreciated every day, not just one day of the year. But, if you’re looking for some ideas to show her how special she is on Mother’s Day, here are 8 Handcrafted Mother’s Day Ideas that will show Mom just how much you care! Be sure to check out all of the ideas linked up this week for more Mother’s Day ideas, crafts, recipes, tips, DIY projects and more! 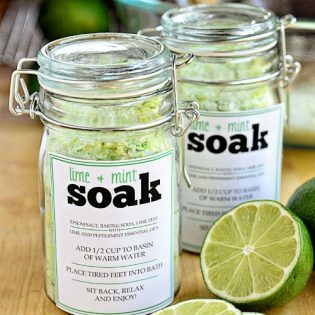 These are all such great ideas for Mom and I love the fact that they are all super easy! Any Mom would love to get them! Click the links to get the of the tutorials. 1. My daughter is looking for a photo project to make for the foreign exchange student she became such good friends with this school year. She heads back to the Ukraine the end of this month 🙁 This DIY Brag Book would be a great idea for some of their favorite photos. I think any Mom would enjoy one as well! 2. What Mom wouldn’t love Personalized Coupon Book for Mom! Kristi will help you make Mom smile, print them for free, and the giver can fill in the details. 3. Strawberry Margarita Cream Filled Donuts………..need I say more?! Hurry over and get the recipe and make these for Mom on Mother’s Day! do it! 5. I just love colored burlap. Shannah took turquoise burlap and simply wrapped it around a glass vase for quick and simple Spring decor vase! 6. You might know I’m a crazy fan of yellow. How great is this yellow and gray HGTV fabric pillow cover with the big bright yellow flower!! Pop over, Crystal has a great tutorial so you can make your own Flower Pillow Cover. 7. Last week I told you about my love of waffles, well I almost feel off my chair when I saw these Brownie Batter Waffles with Strawberry Syrup! Come to Mama!……….no literally, I hope I see these on my plate for Mother’s Day breakfast! 8. Kelly has some colorful goodness going on with these Vintage Inspired Painted Mason Jars. I planning to make some for the kitchen after we move. These would be perfect for Mom or Teacher Appreciation filled with some fresh flowers. 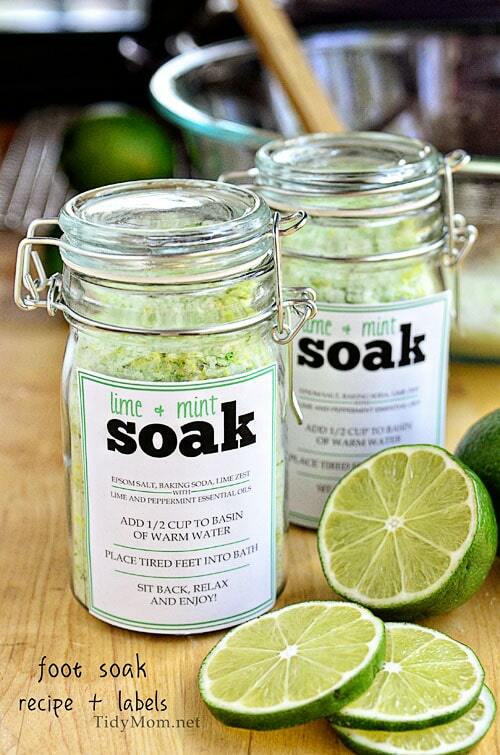 I’m planning to give my mom a relaxation gift basket with the Lime & Mint Foot Soak I made. What are you doing for the Mom(s) in your life? Thank you for featuring my strawberry margarita donuts!! They are perfect for mothers day!! Hope you had a great weekend and thanks again! Thanks for all the inspiration and for including my brag book. Thanks also for the pin. 🙂 I hope you have a wonderful Sunday! What a fun round up! I LOVE that pillow. So many great ideas – it’s a pinning fest! Thanks! These caught my eye this week too Cheryl- so many amazingly creative gals sharing each week. So much fun. That pillow cover caught my eye immediately! Love it! Thank you bunches for the feature, Cheryl!! So honored to be in such good company! Have a fabulous week!! 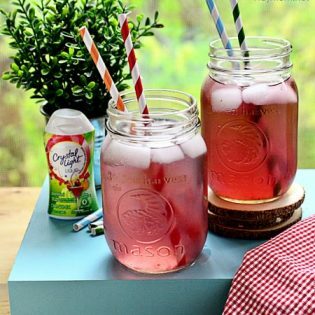 I am loving those mason jars! I love those Vintage Inspired Painted Mason Jars!!!!! I think you’re ideas are amazing! !